1 There's ported version especially for KitKat. I liked the Full Screen Call Picture option present in the GravityBox Xposed Module but I didn't need any of the other things so I extracted only that feature and made it a standalone module. I did it because I didn't find it as a standalone anywhere else. It's no new thing but I thought of sharing this just in case others might find it useful. So big thanks to C3C076 for sharing the source code of his application and hopefully some of you will enjoy this. I've attached the apk, the source code and a screenshot. Xposed Full Screen Call Picture should work on any device having Xposed 2.1 or greater and Android 4.1 or greater (google based rom.. as mentioned in the GravityBox post "pure or close to pure Android"). Now the module can be downloaded from the Xposed Repository. Thanks, good idea but doesn't work on my HTC one S with Viper 2.2 (sense based ROM). Other Xposed modules do work though. Strange. It should work just fine if GravityBox runs on your system configuration. Now Xposed Full Screen Call Picture should work on any device having Xposed 2.1 or greater and Android 4.1 or greater (google based rom.. as mentioned in the quote "pure or close to pure Android"). If you meet the requirements and it still doesn't work... Well I don't really know what could cause that. You could try the GravityBox module and if that works for you then it's something wrong with my apk. But if that still doesn't work for you it's something wrong with the code. It's a nice little mod, but would be better if the buttons at the bottom were left dark as they become washed out and hard to see what your pressing with light coloured caller pictures. 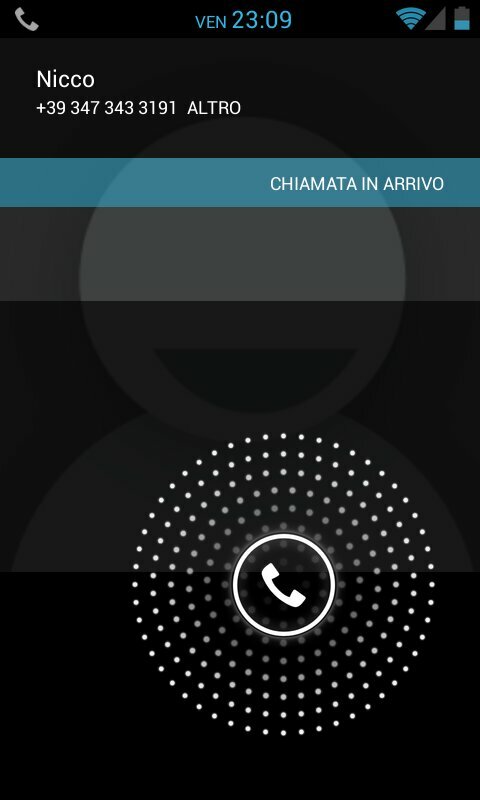 Please, can you disable shadowing call picture when call not hanged? I mean when phone ringing and appears circle slider. Screenshot (not my). My and many other phones have low display resolution and photo very cutted due this omission. Yes, you attached sources, but it's hard to do for me. Maybe, this behavior described in InCallTouchUi.java (com.android.phone) like and current mod? Will this work on a Verizon note2 running beans b20? Sent From My Sticky Note, Too? Yes works with mine. .
Works fine on my Nexus 4 with 4.3.
is this work on xperia z?